Being allergic to a stinging insect is a bit different from being allergic to another type of animal, or even something like a particular type of fabric. When you’re allergic to a stinging insect, what your body is really reacting to isn’t necessarily the insect itself, but the venom that is transferred to your body during the sting from that particular insect. Some of these reactions can be dangerous. Dangerous reactions to insects that bite rather than sting are extremely rare. Hives or swelling that appears on the skin on a part of the body separate from the sting site. If this occurs it usually begins within a few minutes of the sting, but on rare occasions it may take up to an hour to start. Swelling at the site of the sting is abnormal if it crosses two large joints. One of the most important services that Carolina Asthma & Allergy Center provides has to do with testing for insect allergies. 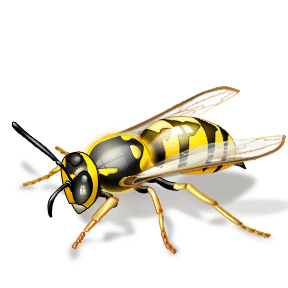 Both skin tests and blood tests can be performed by our licensed medical professionals to check for allergy to stinging insects such as yellow jacket, hornets, wasps, honey bees and fire ants. In order to perform a skin test, venom that has been extracted from a particular type of insect and then diluted will be placed on a patient’s skin for a period of usually around 20 minutes. The doctor will then interpret the results. Based on the history and test results our doctors can then provide treatment and guidance to help make sure that this is managed properly. A course of immunotherapy injections may be prescribed. These have an extremely high success rate and are almost always curative. Insect allergy blood tests are occasionally performed to either safely test people with severe reactions to insect venom or in situations where a standard skin test may not have provided conclusive results. Skin tests are the “gold standard” for evaluating people who are allergic to insect stings but on occasion for reasons that are not understood the test is only positive in the blood. People who are allergic to insect stings carry an allergy antibody called IgE that recognizes a specific insect and triggers a reaction subsequently when stung. Carolina Asthma and Allergy Center has been proudly serving residents in and around the Charlotte area since 1952. With a talented and professional staff made up exclusively of physicians board certified by the American Board of Allergy & Immunology, Carolina Asthma and Allergy Center hopes to give back to the community it loves so much through things like insect allergy testing, preventative medicine and more. Contact Us Today for more information or to schedule an appointment!